Richard Reina, the oldest of 3 boys, was born on Staten Island, NY to a German father and Italian mother. Dad loved all kinds of cars and passed his passion on to his oldest son. After a liberal arts education consisting of high school in Manhattan and college on Long Island, Richard entered the car business and has never looked back. At that same time, he purchased his first “collector” car, a 1957 Ford Skyliner retractable hardtop/convertible. 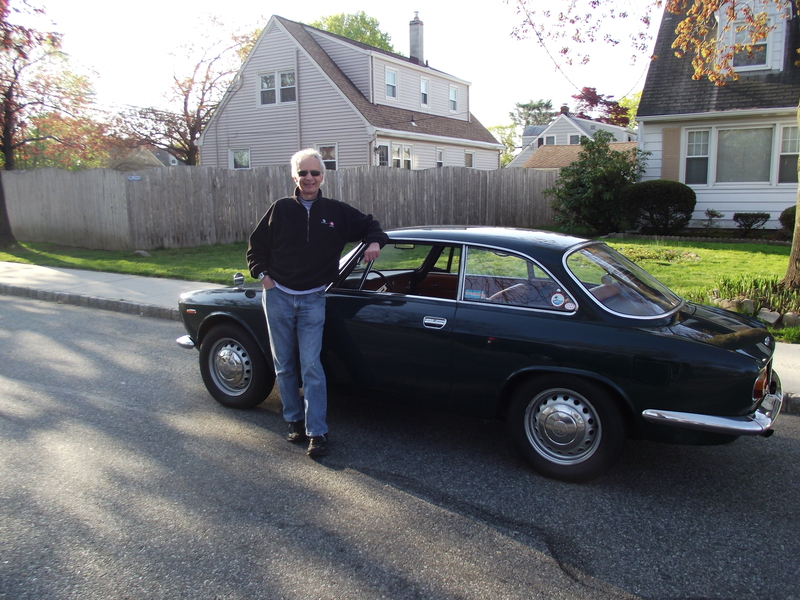 Numerous jobs and numerous cars later, he continues to toil part-time in the automotive industry, and continues to challenge himself by owning an Italian car. Hi there, and thanks for your comment. The car is a ’63. The car will be sold at Mecum’s Harrisburg PA auction on July 30. If you’re interested in it, you’ll have to bid, as that is how Larry has decided to sell the car! Thanks again. Hey, Richard, Craig Johnson here, the guy who just posted about the Fiat 124 Sport Coupes. I did a search on line and discovered that you’re my age and that you live just south of me and just west of my office: I’m 64, I live in Randolph, just west of Morristown and my office is in Iselin. Small world! We should get together and talk cars some time. Email me at Craigj3534@optonline.net if you’re interested. Hey Richard, just a quick note to say hello from Bill and Marcie, and a big thanks for all the photos and information on the New England 1000. You were our inspiration to join the rally and we’ll continue to follow your blog and enjoy your car adventures. Hope to see you another rally in the future. Happy motoring !! Tried to subscribe but did not receive confirmation email, not even in spam. I’m using Gmail.